Dear Readers, I love Melanie’s books, retelling of fairy tales in the middle ages. 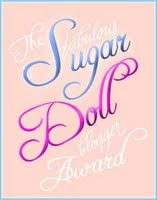 They’re considered Young Adult novels by the publisher, but they’re really not just for young adults. Each of her novels are loosely connected to the ones that came before. With The Princess Spy, I loved the way the story fit with the others, but was totally unique. You won’t want to miss this one. Welcome back, Melanie. Please tell us about your salvation experience. My parents took me to church from the time I was born, and I grew up valuing the Bible as the absolutely infallible Word of God. I was baptized at the age of thirteen, which was a special moment. I can’t remember a time when I did not love God or believe in Him, and my faith and understanding have grown stronger and deeper over the years. That’s really putting me on the spot, Lena. Ha ha! I have a lot of friends with whom I’d love to go on a writing retreat. We’d probably not get much writing done because we’d be talking. But it would certainly be fun. I have had the opportunity to speak to other writers, and I recently spoke to a group of Christian librarians, which was a great experience. I’m excited about speaking to a group of girls, 7th through 12th grade, at a Christian girls’ conference this summer. It’s wonderful how the struggles in my life have become a platform to speak to others. I have found that I actually love public speaking, especially when I can talk about my faith and how God has brought me through things and how He can be a beacon in other people’s lives as well. Hmm. I tend to block out the embarrassing things that happen to me, Lena! I’m not sure I remember any! Ha ha! One embarrassing thing that happened to me is I fainted at my very first writers conference, the big ACFW conference in 2005 in Nashville. It was during the announcements right after breakfast. I’d only fainted once in my life before that happened. This time it was due to taking an over-the-counter medication. The ambulance came and wheeled me out in front of everybody! So embarrassing. Although I was so out of it, I barely was conscious enough to be embarrassed about it until later. I was at that conference and saw that happen, but I didn’t know you then. Most of us prayed for you. People are always telling me that they’d like to write a book someday. I’m sure they do to you, too. What would you tell someone who came up to you and said that? I tell them, “You should.” We make time for the things that are important to us. The Princess Spy is loosely based on the “Frog Prince,” or “Princess and the Frog,” fairy tale. 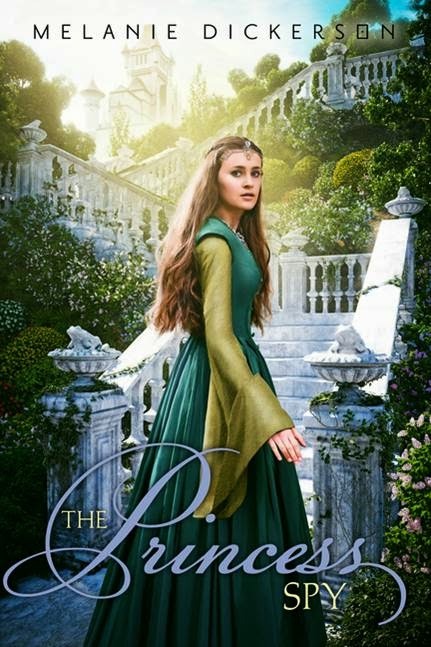 It’s about Margaretha, the oldest daughter of Duke Wilhelm, who finds herself in a crisis and must trust a stranger to help her save her family and her town from one of her suitors, who turns out to have evil motives. And Colin is my “frog prince” who is from England and finds himself in Medieval Germany—and he doesn’t speak German. Margaretha has a problem with talking too much. When an unconscious young man, who has been beaten and left for dead, wakes up in the healer’s chamber in Hagenheim Castle, Margaretha is the only person who understands what he’s saying. However, he won’t tell her his name because he says her life will be in danger if he does. When she asks who might want to hurt her, he refuses to tell her that either, for her own good. Margaretha is convinced he’s lost his mind due to his head injury, but when the young man recovers and tells her everything, and after Margaretha does a bit of spying on her own, she realizes she has to believe him. I skipped the Prologue and am giving you the first page of Chapter One. Margaretha sat in the Great Hall listening to her newest suitor, Rowland Fortescue, Earl of Claybrook, who had cornered her after the midday meal. Perhaps it was unkind of her to use the word “cornered.” He was her suitor, after all, and she should be pleased that he wanted to talk to her. Some of her other suitors had barely said two words to her, but this man seemed to enjoy talking to her—in very fluent German for an Englishman, but his mother was from the German regions of the Holy Roman Empire. Everyone, especially her brothers, accused Margaretha of talking too much, but Lord Claybrook often left her speechless. Could that be a good thing? This morning, Lord Claybrook had been telling her of his prowess as a hunter, both with his falcons and his oh-so-remarkable hounds, a subject so boring that it wasn’t her fault if she was distracted by his hat. Truly, it was an astonishing hat. But then, all of his hats were astonishing. Every day since he had come to Hagenheim Castle, Margaretha had found herself staring at the man’s hat. Today’s hat consisted of a gray fur band as wide as her hand and padded to make it twice as fat as his head, with a large jewel inset in the front, and folds of red cloth protruding from inside, draped over his right temple like the coxcomb of a rooster. A piece of matching cloth hung from the other side of the hat, reaching to his left knee. While his hat’s liripipe was ridiculously long, his tunic was scandalously short. He wore only tight hose underneath, so she was careful not to let her eyes stray too low. But she must make allowances for him. He was a foreigner, after all. Perhaps everyone in England dressed that way. I have a website, www.MelanieDickerson.com and I’m on facebook all the time, https://www.facebook.com/MelanieDickersonBooks which is where you can get the latest news about my upcoming books. And I’m on Twitter @melanieauthor. So please say hello! 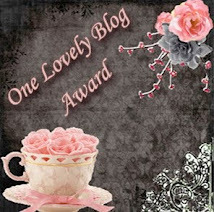 Melanie, I love featuring you on my blog, and my readers like to learn about you and your books. Bio: New York Times best-selling author Margaret Brownley has penned more than thirty historical novels and novellas. Her books have won numerous awards, including Readers' Choice and Award of Excellence. 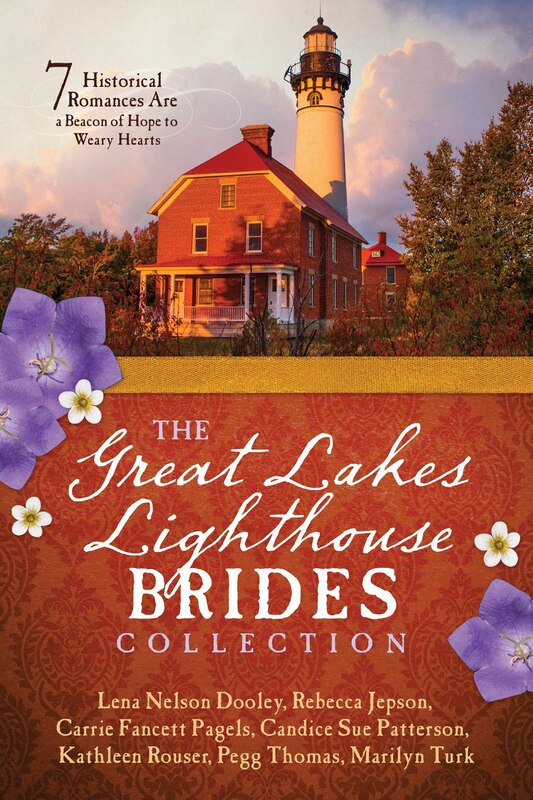 She's a former Romance Writers of American RITA® finalist and has written for a TV soap opera. She is currently working on a new series. Not bad for someone who flunked eighth grade English. Just don't ask her to diagram a sentence. Welcome back, Margaret. Why did you become an author? I was a writer even as a child. Every penny earned raking up the neighbor's leaves or babysitting went toward the purchase of notebooks, just so I could write. I wrote my first book in fifth grade. As a side note: the first thing I do even today when starting a new book is to purchase a notebook to jot down notes. I was a teacher before I was an author and still enjoy teaching. I'm currently a Boy Scout merit badge counselor and conduct regular workshops to help scouts rank. Working with young people gives me faith in the future. There are a lot of great kids out there! I always loved the roaring twenties. Women bobbed their hair, drove cars, flew planes, voted, and did things that had previously been denied them. It was an exciting time. Unfortunately, it's not a popular era with readers. I have no idea why. But if it ever does become popular, I have a story I'd love to tell. I've been to all fifty states so this is a hard question to answer. What I would really love to do if given the time is drive across country without using the Interstates. I would love to wander from town to town—the smaller the better. I've done a lot of foreign travel but have yet to make it to Italy. That's on my bucket list. I always say that God made me a writer to teach me patience and He's still working on it. Former Texas Ranger Tom Colton reined in his horse and stared at the sign hanging from the roof of the two-story brick structure: Miss Lillian’s Parlor House and Fine Boots. In the faint glow of a full moon the building stood tall, solid and proper as an old church. Only the red light shimmering in a downstairs window suggested otherwise. He fingered the letter in his vest pocket. Addressed to his brother Dave and signed simply “Rose,” the letter had brought him to this very address searching for answers. The red light gave him pause. Perhaps coming here had been a mistake, but he’d traveled too far to turn back now. He hesitated for several moments before dismounting. 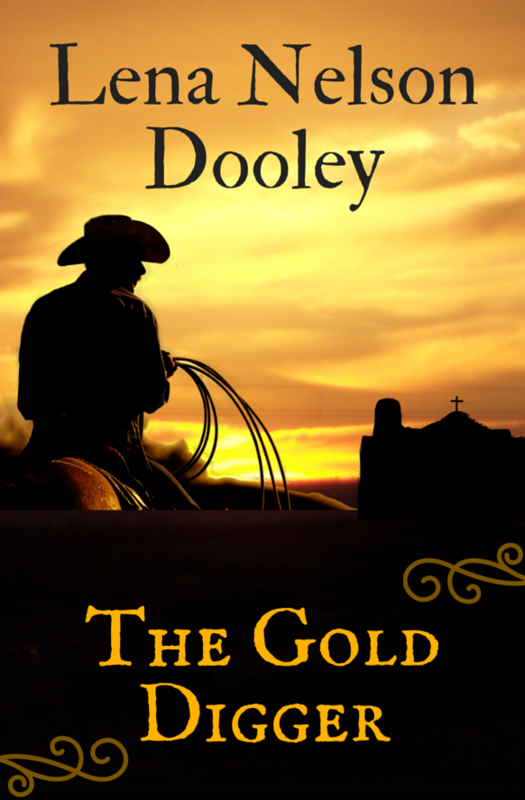 Securing his horse to the hitching post, he stomped up the wooden steps to the porch. For once, God, let me be wrong about my brother. The door opened to his knock and a stout-figured woman peered at him from a painted face. Designed for a woman half her size, the bright blue gown and exaggerated bustle did her no favors; nor did hair piled on top of her head like frothy red frosting. Her appearance quelled any doubt as to the nature of the establishment, and his spirits dropped yet another notch. Dave, oh, Dave. . .
“Are you going to stand there all night, Cowboy? Or are you going to tell me what you want?” Her lilting southern drawl seemed at odds with her sharp-eyed gaze. The woman’s gaze traveled the length of his six-foot frame like a worried mother scrutinizing a daughter’s suitor. The gun belt sagging from his waist made her hesitate. She then glanced at his gelding tied out front next to one other. Apparently his horse, Thunder, gave him a good recommendation because the woman stepped aside to let him in. I can’t wait until my book comes. How can readers find you on the Internet? 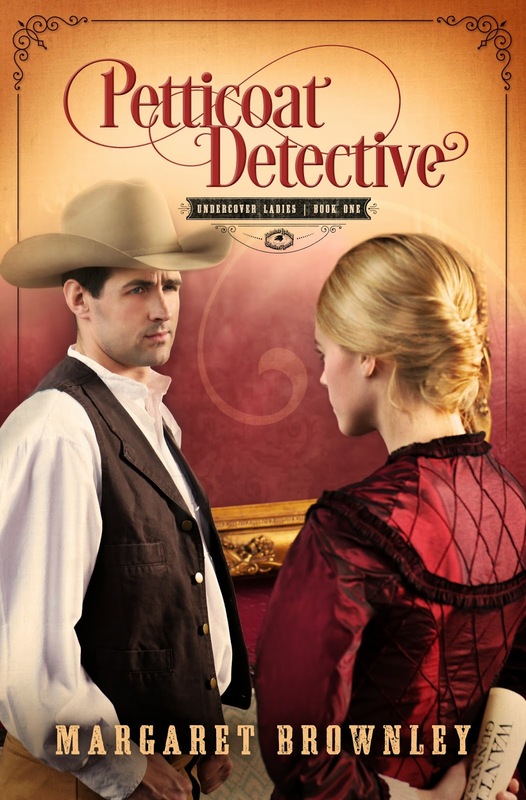 Question for readers: The heroine of my book is a Pinkerton detective. Who is your all-time favorite literary, film or TV detective? Thank you, Margaret, for sharing this new book with us. This story sounds really interesting. I always read your new book as soon as I can get my hands on it. And I know my readers will love it as much as I do. Mary (Aus) is the winner of the Ebook The Snowbound Bride by Davalyn Spencer. Kay M (TN) is the winner of A Lady at Willowgrove Hall by Sarah E Ladd. Loraine (TX) is the winner of Feast for Thieves by Marcus Brotherton. Kristen (OK) is the winner of Impervious by Heather Letto. Joseph (FL) is the winner of the DVD The Good Lie. My Christmas Story for You - "Just Between You and Me"
God told me to become a professional writer back in 1984, and that year I wrote my first novel between June and the end of the year. That novel was published by Heartsong Presents in 1992. In 1984, God also told me to use the writing gift He had given me to bless other people at Christmas. So all but maybe two or three years since then, when life got in the way, I’ve written a Christmas story and shared it with as many people as I could. “Mom! ... Are you home?” Carolyn Barnes slammed the door against the strong wind blowing from the north. This cold front caught her unawares. She only wore a light sweater to school today. Her mother glanced up from cutting out cookies when Carolyn dropped her backpack on one of the kitchen chairs. “How does she get home from school?” Mom started rolling out another ball of cookie dough. They both sat down in adjoining chairs. Carolyn got spiral notebook out of her backpack. She knew if Mom had an idea, she’d want to write it down so she could remember what Mom said. Carolyn’s heart felt lighter somehow. Maybe they could help Geneva ... and her family. After school the next day, Mom was parked right where she told Carolyn she would be. After she got in the car, Mom drove around the block and parked on the side of the school building so they could watch the front door. Sure enough, after all the other students had gone home, Geneva came out, looked around, then headed down one of the streets. Mom drove, making sure they weren’t close enough to the girl for her to know they were following. Carolyn almost missed it when Geneva quickly turned down a street heading toward a poorer part of town ... but Mom didn’t. After walking about a dozen blocks in the cold, Geneva went through a door at a rundown motel. “So that’s where she’s going.” Mom sounded like she knew something Carolyn didn’t. “Where are we going?” Now Carolyn’s heart hurt again. No wonder Geneva wasn’t happy. “We’re going home. Tomorrow, I’ll see what I can find out about the motel and Geneva’s family. Then we can decide what can be done to help them.” A smile filled Mom’s face as she headed toward home. Carolyn power-walked all the way home the next day. She could hardly wait to hear what her mother found out. Her mother was pulling into the driveway when Carolyn reached their block. She started jogging to get to the house sooner ... and to get into the warmth there. Mom opened the door, then followed her in. They both dropped down onto the sofa. “So did you find out what we wanted to know?” Carolyn slid her heavy backpack to the floor. She wished they used ebooks for their subjects, like some of the schools in larger cities. Here in their small town, it wasn’t even an option. How could they help Geneva’s family if she didn’t want anyone to know where she lived ... and how bad things are for her family? After Mom finished telling her the plan, Carolyn grinned from ear to ear. “Yeah, with lots of cheese and pineapple.” Carolyn ran up the stairs to put on her sweats. They’d warm her up fast. Late Christmas Eve, Carolyn and her mother took a small, pre-lit Christmas tree, a box of food, including a ham, candied sweet potatoes, green bean casserole, and pecan pie, along with several sacks of groceries, four wrapped packages for each person in the family, and a Christmas card. It was signed, from Jesus, and contained money Mom had collected from some of her regular customers. They quietly arranged the things outside the door to the room where Geneva’s family lived. Then they scurried across the street where their car was parked, mostly hidden behind a trash dumpster. After they left, the director of the ministry crept to the door. She gave it three quick knocks, then scooted around the corner out of sight. It took about five minutes for someone to open the door. A woman in a ratty robe stared out into the night. She looked all around before she turned her attention down where the things were sitting. One hand went to her throat, then she pulled a tissue from her pocket and started wiping her eyes. She turned around and called someone. Geneva came to the door behind her and peeked out. When she saw the packages, she shrieked and started taking the things inside. Her mother helped her. Just before the door closed, they hugged each other. Welcome, Andrea. Tell us how much of yourself you write into your characters. It's easier to write about characters who aren't like me, so that is what I prefer, however people who know me well have pointed out that there is a bit of myself in every character! When I was in elementary school, they often had “Mr Rib on bun” for lunch. The first time I swallowed it, I coughed, but it came out sounding like a “moo...” you know, the sound a cow makes. So, from then on, whenever I ate one of those sandwiches, I moo'd ... and yes ... I still do! I think I came into this world knowing! Before I could even read, I announced that someday I wanted to write books like those that my parents read to me. Once I started school, I wrote stories every day. I never changed my mind when someone asked what I wanted to be when I grew up—writing has always been my passion. 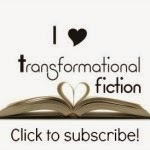 I read contemporary women's fiction, suspense, romance, chick-lit, biographies, self-help. If I didn't write, then I wouldn't keep my sanity! I'm a stay at home mom and I always feel behind and overwhelmed ... but when I write, all of that goes away. I get revitalized and have energy again. I have to make a conscious effort, though. If I don't schedule my writing time then it won't happen. Sometimes they just come to me, other times I look at baby name websites! Being a mother. I have a son and daughter so I feel like if I've done anything right in this world, it's having them! Even if I never accomplish anything else, it's okay because nothing could make me more proud than watching them grow up. I took a quiz recently, ha ha, and it said swan because I'm idealistic, open-minded, and passionate. I don't know if that's really what a swan is like, but those traits do describe my personality! Nachos. Mexican food is my favorite type, I could probably have it every day! Making the time! I'm not a writer who can write with a hundred interruptions and distractions. I've heard of authors who say they wrote books while bouncing their babies on their laps. Definitely not me. I need to zone out and write in peace—and then the words flow. The only reason I don't write a novel every month is because it's easy to tell myself that I should wait until all of my other responsibilities have been taken care of. The problem is, there is always something to do and so writing often gets put last. Having a book published is a great motivator—that writing is not a hobby but rather a job and so it's okay to make writing a priority even if that means my house is a disaster! I have two days a week that my daughter goes to preschool (my son is in first grade) and so those are my scheduled writing days. On the surface, the book is about a toddler boy who is kidnapped a few days before Christmas, but at its core this is a story about a marriage over time dealing with grief, overcoming bitterness and finding faith. Chase? Where are you? Chase! Panic filled Arianna Tate’s chest as she searched the small café for her toddler son. The two had spent the morning Christmas shopping at a mall in Des Moines, Iowa, until fatigue took over Arianna’s body and told her she must stop for a spiced latte on her way home. She’d been holding her little boy’s gloved hand when they stood in line to order and had smiled at him as they sang along to “Silent Night” on the radio behind the counter. The store was decorated with strings of multi-colored lights and silver and gold tinsel. A Christmas tree with red and green glass balls stood next to a window while light snowflakes fell outside. Arianna let go of Chase when it was time to pay. “Are you going out of town for the holiday?” the woman behind the cash register asked. After they chatted for another minute about the brutal winter weather in the Midwest, Arianna took the paper cup with one hand and reached out her other to meet Chase’s. Instead, there was only air. Arianna whipped around, hat falling from her head, and her gaze darted quickly to every corner of the café. “Chase?” she called out as she paced the floor. The weight of a black wool coat made her move too slow. An elderly man sat at a booth and looked up from reading the newspaper, but otherwise the place was empty. Hadn’t there been a woman standing behind her in line? Where was she now? Had she seen where Chase had gone? “Is everything okay?” the store clerk asked. Arianna ran to the employees’ entrance and frantically looked around the back of the store. The clerk followed. Scary. My two daughters and I went to Six Flags Over Texas when one was 5 and the other 7. I held the youngest daughter’s hand and told the older one to hold her sister's other one and not let go. We made our way through the crowd, and soon only one daughter was beside me. I know that terror. Praise the Lord, we found her within the longest half hour of my life. 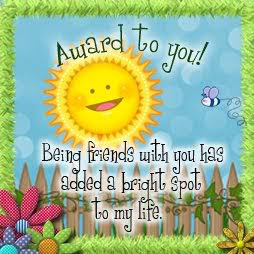 Please like my Facebook page at http://facebook.com/AuthorAndreaRodgers, become a fan of Pinterest at http://www.pinterest.com/AuthorARodgers/ or visit my website at http://AuthorAndreaRodgers.com Thank you so much! Thank you for sharing this new book with us. I know my readers will want to read it. Dear Readers, I'm excited to share this new book with you. Welcome, Don and Stephanie. I know that this is a collaboration. How did this story come about? Steph: Funny that Don is the one who got us started. He is dyslexic, therefore hated writing, and seldom read anything growing up other than comic books. I always loved reading and writing and wanted to be an author. When I became a wife and mom, I simply forgot about the dream. Then one day, at age 57, Don told me this storyline was stuck in his head, and he wanted to publish it as a novel. I confess I snickered. He worked at it for four years before inviting me to join him. I figured I’d be nice and correct the spelling and grammar, but instead I fell in love with the story. Little did I know that I had to “learn to write” too. It has taken us ten years to reach publication, but sharing the “passion” has been a fantastic experience. Don: It really helped to have a division of labor. While I wrote the initial draft, I realized I had to turn my precious baby over to Steph and trust her feminine sensibilities to soften the way I’d told the story. At first I gritted my teeth at any suggestion of change, but as we read how-to books together and attended writers’ conferences, I realized the worth of literary surgery on my poor child. Don: It ultimately caused me to love my wife more as I grew in respect for her. I marveled at the way she was able to elegantly express ideas that I was just clumsy with. Steph: I tend to be a global thinker and often reduce my knowledge to the bottom line. Over and over I was impressed with the details Don had imbedded in the story, especially from his experiences as a Marine Corps reservist and Viet Nam veteran. I also discovered that although he wasn’t a big reader, all those movies he watched had made him into an excellent plotter. Most important for both of us was that collaborating on our novel created a terrifically enjoyable bond for us as husband and wife. Steph: We rarely disagree but when we do, we feel free as husband and wife to, um, clearly express ourselves. However, with forty-nine years of marriage under our belts, we also know how to get over it, find a way to agree, and move on. Being Christians with access to prayer definitely makes a difference. I so understand that statement. James and I just celebrated our 50th anniversary last month. What are you reading right now? Don: I like Lee Child’s Jack Reacher series because there is lots of action and the story is not slowed with unnecessary description. Steph: Our church has a women’s book club, so right now I’m reading A Different Sun by Elaine Neil Orr for them, and the Brother Cadfael mystery series for me. Steph: Poor Don, we’ve ended up changing most of the names he started out with. He had all the first names of the protagonist’s family begin with J, and all the names of the antagonist’s family begin with R. Not any more! The protagonist’s last name is Chalmers, which is a family name in Don’s ancestry. Otherwise, the names were randomly chosen or selected from a list for the year they were born. Don: I have the rough drafts of five novels waiting on Steph. Steph: Ouch! I’m working on book two but am a slow writer and probably won’t live long enough to get through Don’s list. He’ll have to die before I do so he won’t end up disappointed, LOL! Don: It’s one men will enjoy reading. Steph: Women too, of course! I think having a man and a woman co-author it has made it an attractive mixture of adventure and suspense on the one hand, and warm relationships plus symbolic spiritual layers on the other hand. The heavens faded from black to dusky blue, arching like an inverted bowl over the inky waters below. Sprawled across a fragment of boat, Jake Chalmers scanned the horizon. Darkness cloaked the expanse to the west, but in the east the circle of the earth etched a line of gold between ocean and sky. Pushing himself chest high, arms shaking, he studied the line for movement. Nothing. Nothing but the rising sun. He rolled to his back and threw an arm over his eyes. Seawater dripped off his sleeve, stinging the cracks in his lips. He winced and pressed them together. A scum of brine coated the inside of his mouth, numbing his tongue and the back of his throat. Swallowing to generate saliva blazed a trail of salt down his esophagus. His stomach heaved, but there was nothing to expel, not even bile. So thirsty. The craving ground like fine sandpaper against every cell in his body. Forty-two years old and he’d never experienced misery like this, not even in Nam. He raised his arm and flexed his fingers, blinked until the crinkled skin on the back of his hand came into focus. Were the wrinkles a symptom of dehydration? Or the result of floating five nights in the ocean? He shifted back onto his stomach and hooked his left arm over the edge of the fragment to keep his balance. The flat-bottomed vessel, split in half lengthwise by the explosion and flipped into an upside-down V, barely accommodated the stretch of his six-foot-two frame. The submerged air compartments that had doubled as tourist passenger seats kept the damaged craft afloat, but the V tipped precariously with each swash of a wave. He’d count, clear the haze from his mind. Count the days since he’d boarded the cruise ship. The days alone on the ocean after the explosion. The hours, the minutes, every second of the rest of his life he’d spend hunting down Captain Emilio. He sat up, catapulted by the heat of rage. The boat fragment jerked, and he fell on his back and slid, grasping with outflung arms at the wet surface. The ocean swallowed his feet, his chest. The bucking craft smacked his head as he slipped off. Blood filled his mouth, stinging his tongue where his teeth slashed it. He caught the edge of the vessel, pulled up, and spat. Crimson dots spattered the craft’s white paint. Ginny. The ache for her pressed against his chest. Where was she? Floating like him in the ocean? Or had she slipped under the waves to a briny grave? He closed his eyes. Tired. So tired. Wanting to save her. Failing. His throat tightened. He repositioned his grip and willed himself not to let go. Willed himself to fill his lungs and release the air in a slow exhale. Willed himself to crawl back onto the broken sea vessel. He lay on his stomach and stretched his limbs into a sprawl. God and man may have abandoned him, but he wouldn’t yield body and soul easily. The ocean would have to wait. Wow! I can hardly wait for my copy of the book to come. Where can our readers find you on the Internet? 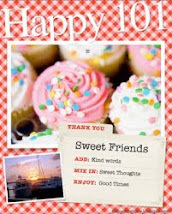 Thanks, Lena, for inviting us to your blog! Your readers rock! Yes, they do, Stephanie. I loved this interview, and I can’t wait to read the book. James and I have been on two cruises. 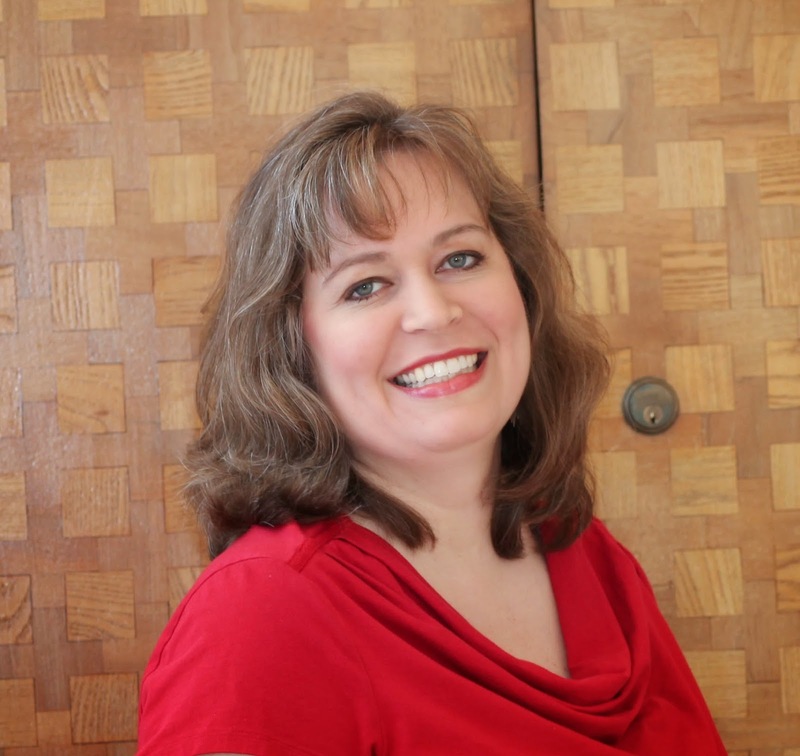 Bio: Carrie Fancett Pagels, Ph.D. “Hearts Overcoming Through Time,” is an award-winning Christian historical romance author. In 2015, Carrie’s novel Saving the Marquise’s Granddaughter will release with Pelican Book Group. Carrie’s Amazon Christian Historical Romance #1 bestselling novella, The Fruitcake Challenge, released September, 2014. Her short story, “Snowed In,” appears in Guidepost Books’ A Christmas Cup of Cheer (2013). She’s the Amazon best-selling and top-rated author of Return to Shirley Plantation: A Civil War Romance (2013). Her short story, “The Quilting Contest,” appears in Family Fiction’s The Story 2014 anthology. 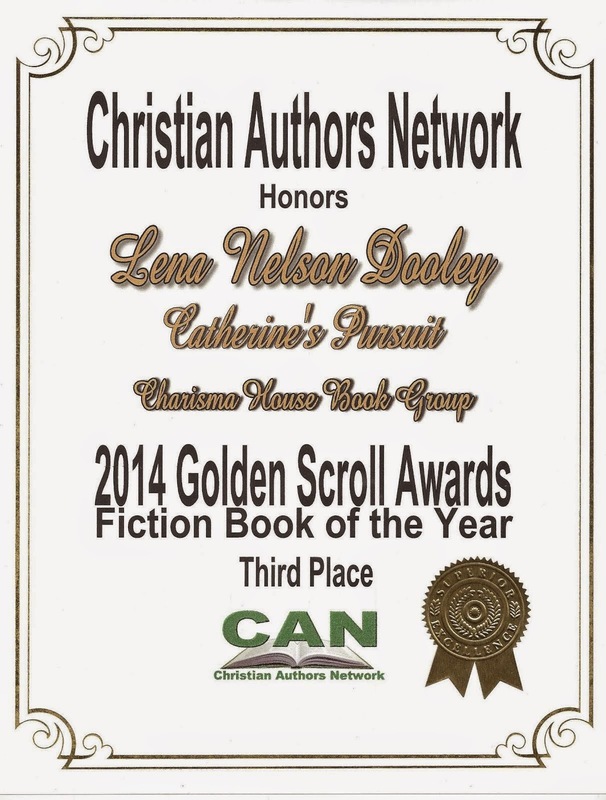 Carrie received Honorable Mention for the 2014 Maggie Awards for Excellence for her unpublished novel Grand Exposé. Former psychologist (25 years) and mother of two. Welcome back, Carrie. Why do you write the kind of books you do? For Christ. My message is because of Him. My tagline is “Hearts Overcoming Through Time” and intrinsic in that is—with God’s help. 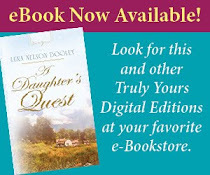 I write Christian historical romances because that is what I like to read, too. Giving birth to my first child, my daughter, Cassandra Rose, in 1989. God showed me how love can just keep growing in your heart, more than I ever thought possible. I think the main thing it does is give some credibility to my writing. There are so many amazing writers out there. Many of whom aren’t yet published. People don’t take your writing as seriously until you have something out in print. I featured that book on my blog. I loved it. What is your current work in progress? The Lumberjack’s Ball is the sequel to The Fruitcake Challenge. One of my heroine’s (Josephine Christy) brothers wants to be a master cabinet maker and furniture designer. He takes a side job from his lumberjacking to create stunning built-in cabinetry at a local mercantile. And the store owner’s daughter catches his eye! I also have a book due out in 2015 from Pelican Book Group that you’ve previously critiqued a section of, Lena. It is currently entitled Saving the Marquise’s Granddaughter, so I’ll have edits due this winter. I’d love to stay on Mackinac Island for the entire season, staying in a gorgeous Victorian up on the bluffs. Usually it is someplace I love. With Saving the Marquise’s Granddaughter, however, I set it in France, Germany, and Philadelphia because of the history behind the story. So the second part of my answer is the history of the story does determine where I normally will set it as I’m often inspired by real life stories. Joyce Meyer. I’d love to “pick her brain” and hear about her vision for her ministry into the future. She’s been an inspiration to me. My husband and I love to listen to Joyce. We also have read several of her books. We’ve seen her in person when we were in the studio audience for James Robison’s show when she was there. What are your hobbies, besides writing and reading? Beadwork and travel, as my health permits for both. And of course snuggling with my 12-year-old son! I have multiple forms of arthritis. But I’ve found that when God wants me to be writing then He makes a way for me to do so. I believe I’m firmly in His will that way. Don’t skip learning the craft. I’ve seen too many who have. Read, read, read all the comparable authors in your genre. Like Lena and I were told some eight years ago or so, blog. It has many benefits. Your advice is very good. Tell us about the featured book. Vast evergreens crowded the roadway on both sides of the wagon, towering over a hundred feet to the sky, almost obscuring the sunlight. Every time the dray hit a bump in the mucky road, Tom Jeffries grasped his crate of books in one arm and his boxy leather suitcase in the other. After the last spine-jolting rut had been crossed, he pulled out his father’s gold pocket watch. Shouldn’t be too much longer now. He swatted at the mosquitoes that swarmed the deep woods. No wonder the men at the mercantile had laughed when Tom had asked about purchasing arm garters to go with his new work shirts. He’d need to leave his shirt sleeves unrolled, even for summer, to keep the pests off him. Even that wasn’t working now, though. Tom draped his Hudson Bay blanket around his shoulders and pulled it up over his neck and then squashed his felt slouch hat down further to cover his forehead. The vehicle slowed. Sitting in the bed of the flat dray, Tom swiveled so he could see the reason for their halt. Nothing but woods surrounded them. Tom hesitated. He wasn’t about to be dropped off in the middle of nowhere. Tom hopped down, but left his belongings on the wagon bed. A copy of the book–choice of paperback or ebook (Kindle or Nook) USA only for paperback choice. Carrie, thank you for sharing it and some of your life with us today. Readers, this would be a good book for all of you who get a Kindle or a Nook for Christmas. 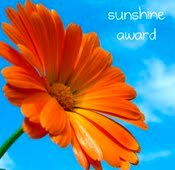 Autumn Macarthur (Eng) is the winner of the Ebook Helsinki Sunrise by Marion Ueckermann. Kandi (MT) is the winner of the Ebook Believe in Me by Autumn Macarthur. Deanna (NE) is the winner of either a print or ebook A Cliche Christmas by Nicole Deese. Janet E (FL) is the winner of Love Takes Flight by Lee Carver. Kristen (OK) is the winner of Wayward Hearts by Susan Anne Mason.